(Richmond, IN)--Wayne County Commissioners voted unanimously Wednesday to a change in ordinance that will essentially ban any type of wind farm. It had become clear that a majority of residents opposed the construction of large wind turbines. Now, any potential wind farm decision will be made on a property-by-property basis. A land owner would have to get a declaration of a hardship from the Board of Zoning Appeals and obtain a variance. A hardship declaration would be difficult to obtain. 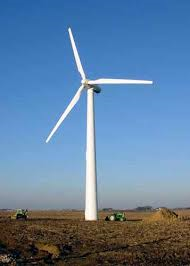 County leaders could still address the future of wind energy in its comprehensive plan.